I truly love when a new product comes out and it displays real ingenuity. TailBrella is definitely a clever invention. I also love when a product solves a problem. 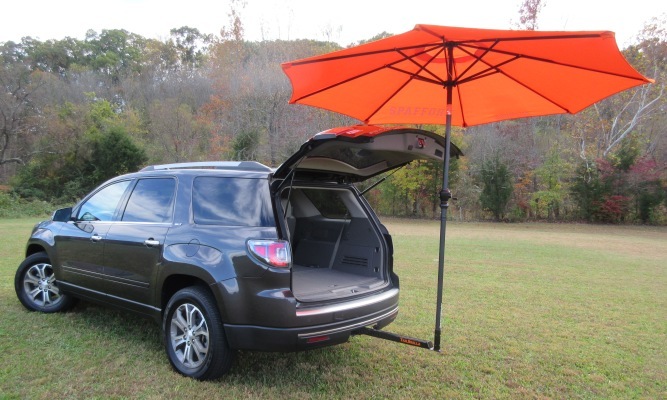 Jamie Spafford invented the unique product after he noticed the issues tailgaters were facing while putting up their tents and the traffic problems they can also cause. 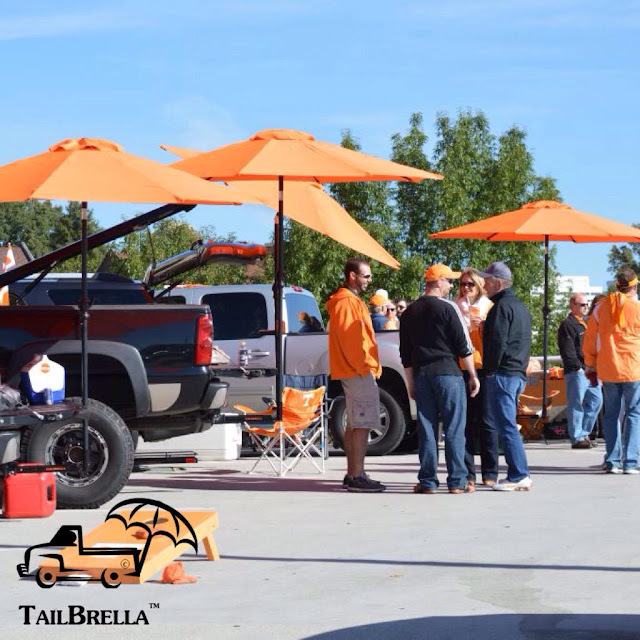 TailBrella is a hitch umbrella made of heavy-gauge steel. It attaches to trucks, SUV's, 4-wheelers or any automobiles that have a pre-existing 2" hitch, which is standard on many vehicles. They have adapters in case your hitch isn't 2". You can customizing your own canopy. Add your name, jersey number, or your own company. Of course my TailBrella would read "Elevate your tailgate!"